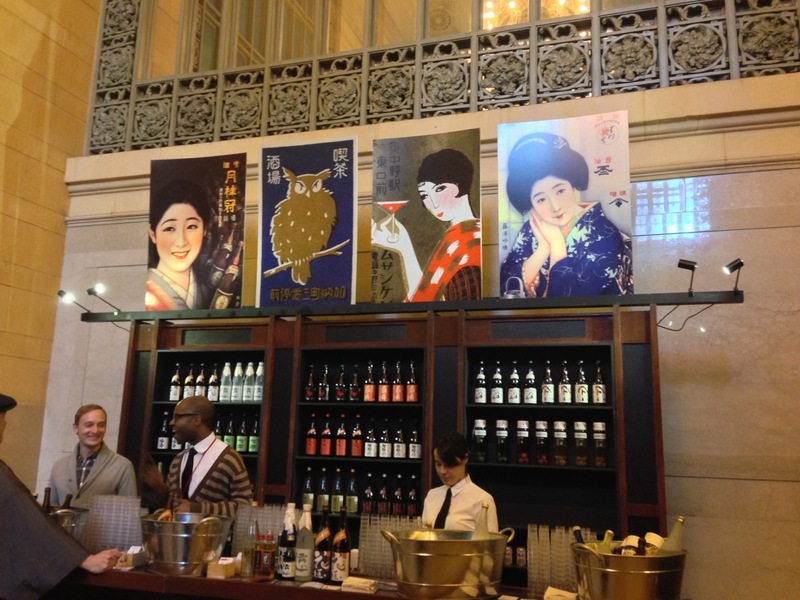 Commuters passing through Grand Central Terminal may have noticed that it is Japan Week, which began yesterday and runs through Saturday at 7:00 p.m.
An event that promotes Japanese culture, tourism, and cuisine, Japan Week occupies both wings of Vanderbilt Hall in Grand Central Terminal. The theme focuses on Japan as it was 100 years ago, paying homage to the 100th anniversary of Tokyo Station, as well as the tradition and technology that is propelling Japan into the future. At the eastern end of the hall, visitors can learn about Sharp’s latest LED TV and Seiko’s new Astron watch, which adjusts to the local time in each of the world’s 39 time zones. Test drive Delta’s lie-flat bed from its Business Elite class, and take virtual tours back to what Tokyo was like 100 years ago with Fuji TV’s Time Trip View iPad application. Marvel at the model trains assembled by the Japan Rail Modelers of Washington, DC. Practically every booth offers surveys and giveaways from cute trinkets to round-trip tickets to Japan. 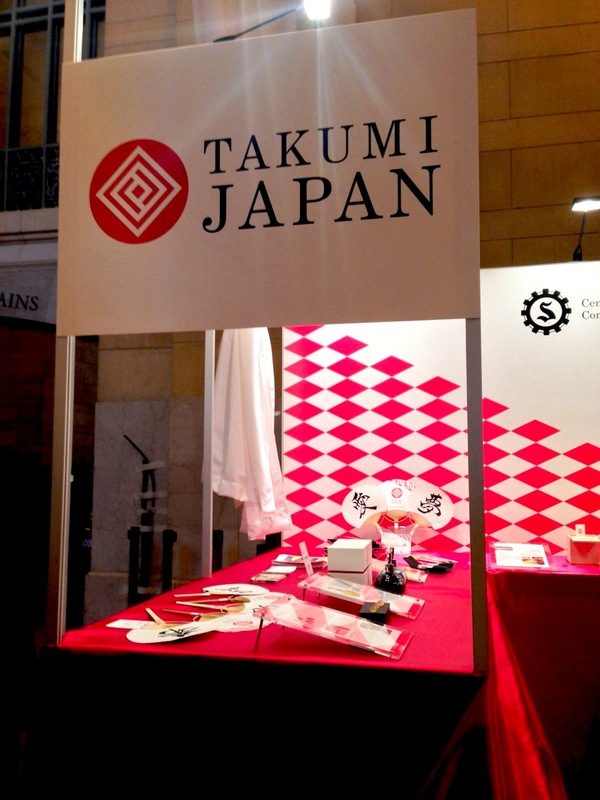 Also worth perusing is the TAKUMI JAPAN booth, which is filled with beautiful items produced by small- to medium-sized business in Japan. 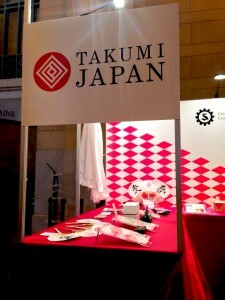 TAKUMI JAPAN is a project backed by the Central Federation of Societies of Commerce and Industry, Japan (CFSCIJ) to provide exposure to these smaller businesses in the world market. 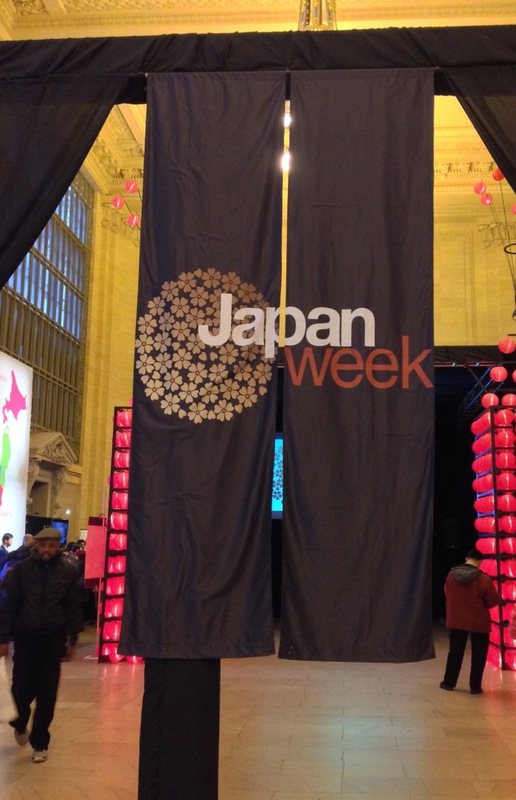 Japan Week in New York is the project’s last stop on an international tour that took them to trade shows in Germany, France, and the United Kingdom. In each product on display – from the wooden computer keyboard to the metal nabe pot – visitors will recognize the attention to detail and fine craftsmanship that is the benchmark of Japanese artisans. 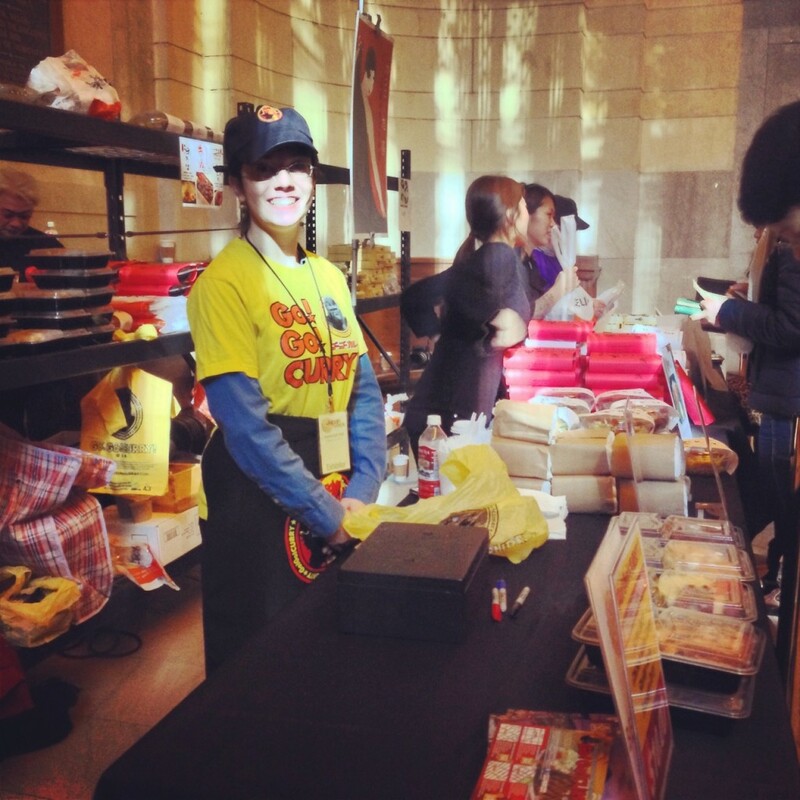 If you’re caught in the traffic jam of people crowded in front of the Minamoto Kitchoan, Azuma Foods, and ITO EN booths, you may miss the bento boxes for sale in the far corner of the western side of Vanderbilt Hall. The pipe and drape that enclose the theater area practically hides the food vendors – Go! Go! Curry!, Ramen-Ya, and Sobakoh – from view. Each vendor offers delicious flavors that represent Japanese regional cuisine from 100 years ago, so it’s worth the effort to push (politely) through the crowd as they eat ITO EN’s fabulous matcha ice cream to reach the food corner. Next to the food corner is the sake pop-up bar. For $35, visitors can savor a bar snack and five of the 17 sakes available. If you have trouble trying to decide, don’t worry. The top sake sommeliers in New York, including Chris Johnson, Toshi Koizumi of Wasan, Chizuko Niikawa-Helton of Sake Discoveries, and Timothy Sullivan of UrbanSake.com, will be on hand to offer expert advice. If you’re in the mood for something stronger, Nikka Whisky is also offering tastings. Look for the food vendors in the corner! This year’s Japan Week is somewhat scaled down from last year’s, which had stage performances and demonstrations. The stage has been replaced by a large video monitor showing a series of videos. 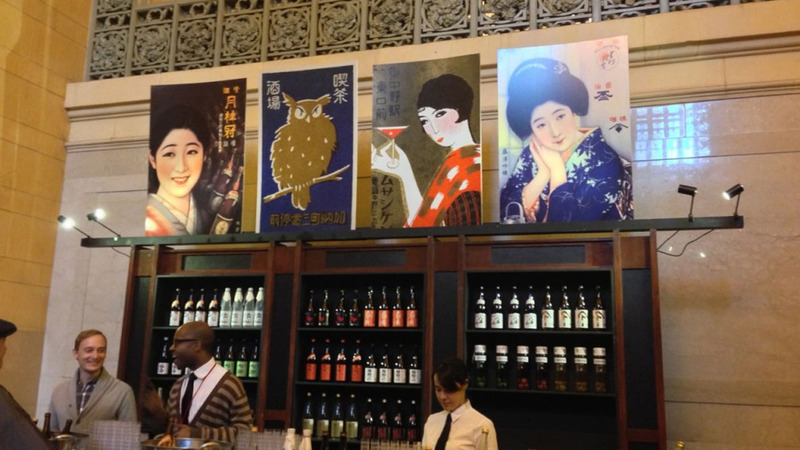 Visitors to Japan Week can enjoy looking at a photos of rural Japan taken 100 years ago and learning about each restaurant that is participating in Japanese Restaurant Week. In addition to the film, there are two booths at Japan Week dedicated to Sugihara’s heroic efforts. The JTB booth is offering a Sugihara Survivors Remembrance Tour that follows the path that many Jewish refugees took once they arrived safely in Japan. You can find many more tours and travel options to Japan by talking to experts from the Japanese National Tourism Organization. Travel back in time and plan travel for the future at Japan Week, now through Saturday, March 8 at 7:00 p.m. For more photos of Japan Week, check out @JapanCultureNYC on Instagram.